A couple of weeks ago we saw the first Android 4.1 Jelly Bean ROM for the Samsung Galaxy Note leak, version N7000XXLS2, but now SamMobile claim that they have the real deal straight from Samsung's servers and that the previos ROM was a system dump. The update brings the original Galaxy Note to Android 4.1.1 and gives it the latest TouchWiz with all the bells and whistles. The ROM also has basic support for Air View (detecting the S Pen from a distance and triggering previews), but that isn't ready just yet. Before you flash N7000XXLS2 on your Note, have a look at this video N7000XXLS7, which some lucky guy in France who got the update early. 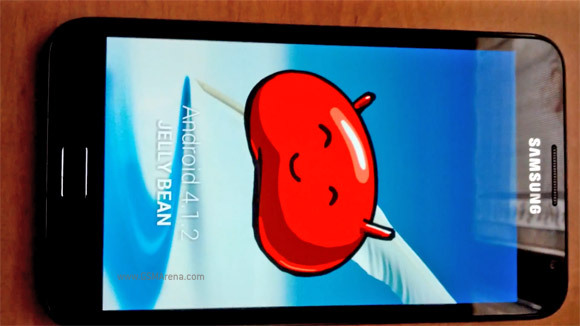 It updates the phablet to Android 4.1.2 and enables Multi-View just like on the new Note II. The video is quite long (and in French), but here are the juicy bits - flashing the ROM at 4:00, you can see the Jelly Bean version at 7:30 and 16:50, Multi-View is shown off at 9:00 and texting works too (13:00), suggesting it's a fully featured ROM. You can't flash this ROM has yet as it still hasn’t made its way to XDA. On the upside, LS2 is from October 9 (nearly a month ago), so Samsung should be testing a newer version internally (possibly the LS7) and the update should be nearly ready (the Galaxy S II update should arrive at the same time too).